How did you first get into writing? Did you grow up in an environment where such arts and activities were encouraged? I grew up in a very creative household. My Dad was a dentist. My Mom worked in his office. Their hobby, besides collecting silver and crystal at auctions was oil painting. My hobby was getting in their way. Mom painted brilliant still-lifes while Dad was wonderful with seascapes. I was bad even at stick figures. My forte was making up stories and coercing my older sister to act them out with me. The stories in my head never stopped. But writing them down… no. As a matter of fact I’m sure my high school English teacher is spinning in his grave at the idea that I’m a published author. I started writing when a good friend told me she wanted to write a romance story. I offered to help, beta read, brainstorm, anything she needed. The idea of being involved in a story from inception fascinated me. I was an avid historical romance reader. At the time I was still working for the bank and flying overseas for business. I read to fill my time on flights and evenings. My friend and I bounced around story ideas. We came across two themes that we liked. She asked me to write one. We could sell the two books as a set. The idea was intriguing. With only time to lose, I started sketching out my story in April and four months later had a 100K word finished historical fantasy novel. Unfortunately, she had other obligations that took center stage. I, on the other hand, couldn’t stop. It was like turning on a spigot. I’ve been writing ever since. Where did you grow up? 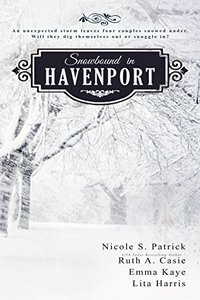 Have you ever written any books set in your hometown? I grew up in Brooklyn, New York. 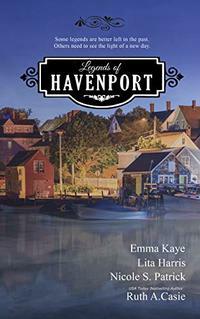 While I haven’t set any of my stories there, I do pull on some of the people and places for the Havenport series. 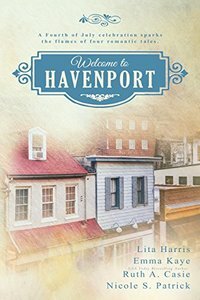 My writing partners and I created a small Newport-esque coast town in Rhode Island. All our stories take place there. Of the two former jobs you had (speech therapist, international bank product and marketing manager), which one was the hardest? Or which one did you hate the most and why? This is a great question. I LOVED working for the bank. My responsibility as a product and marketing manager included client education and training. I was responsible for the International market and traveled to visit my clients. This was before webinars. It was an exciting wonderful time. It was also the hardest job I had. I gave seminars in some of the most wonderful (and not so wonderful) parts of the world to groups of clients. Sometimes my presentation was in an office with one or two people, other times I would be presenting to groups of 100-150 bankers. It was essential to know the bank product, the US regulations that went with them, and understand the client’s needs and limitations. At times it was a challenging puzzle. 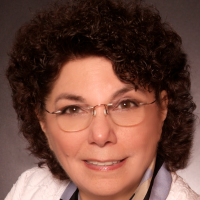 I had been a speech therapist and taught individual cases as well as in a classroom. Those teaching technique followed me to the bank. I called on them when I did client training. I never stayed in front of the room, but rather walked around and interacted with the clients even in large presentations. The only time I had to direct my presentation to one person even though there fifty people in the room was in China. I was giving a presentation to their banking minister and my colleague said not matter what happened, treat the presentation as if she was the only person in the room. I found standing in one place a challenge. What has your best experience been, as an author so far? Are there any misconceptions people have about authors that you wish you could correct them on? It’s hard to pick one best experience. I have a list: writing box sets with my writing partners, Eliza Knight and Kathryn LeVeque inviting me to write in their worlds, receiving my USA Today bestselling author credential. I think there are many misconceptions about writing, romance writing in particular. No, I do not write what happens in my bedroom and yes I am very happily married and satisfied. Yes, I’m sure you too can write a book especially if it’s as easy as you think it is. It’s not easy establishing yourself as a writer. It takes perseverance and at times a tough skin, a very tough skin. What was the first book you published? Looking back now, is there anything you wished you had done differently? 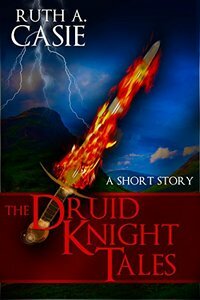 Knight of Runes was the first book I wrote. It was published by Carina Press. I remember asking Angela James, the acquiring editor what I should do to market the book. She said write the next story. Her answer frustrated me. How was I going to sell books if no one knew who I was? I didn’t take her advice, instead I spent a lot of time and money (that I didn’t have) on marketing the book. Sales were good, but I had nothing else to sell. Fans I had taken so much time to cultivate were asking for more stories but I didn’t have any. Looking back I wish I had listened to Angela and written more stories sooner. 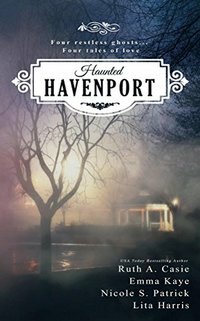 What was it like collaborating with other authors and writing books like "Haunted Havenport", "Christmas in Havenport", "Welcome to Havenport", etc? How does having other author friends help build or make you into a better writer? Emma Kaye, Lita Harris and Nicole S. Patrick are my writing partners in every sense of the word. We started out as critique partners. We collaborated on our first anthology in 2013 and formed our own publishing company, Timeless Scribes Publishing. Since then we have written nine books. The four of us take an active part in planning and producing our books. Starting a new project is always exciting. We brainstorm the theme and start to plot our stories. We enjoy the challenge of mentioning or having our characters pop up in each other’s stories, but that takes a long of planning so we meet weekly by phone and try to see each other monthly. I write an outline and ask for feedback to make sure the pieces hold together and to also give my partners a chance to see where their characters can interact in my story. The others are pantsers (write by-the- seat-of- their-pants) although I think I may have convinced Nicole to try outlining. 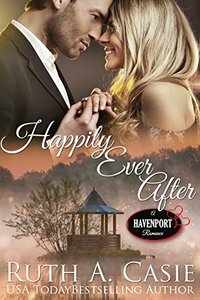 In your book "Happily Ever After", the female protagonist is also an author. Would you say that this character and this book is like a portrayal of you and your own life? There are some facts behind this story. My primary genre is historical fantasy and one in which I’ve been successful. 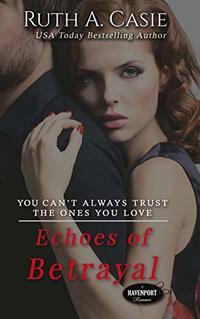 Writing contemporary romance was new to me and fear provoking. Historical fantasy requires world building from the ground up. Interactions with characters are driven by the societal conditions at the time of the story and needs explaining especially if it’s a fantasy with its own set of rules and norms. Contemporary is much different from the pacing and rhythm to the details needed for the story. For the most part, the setting and society conditions do not need as much explaining. I’m a bit off track here so let me reel back in. My character, Beth Holmes was changing genres and all the fears and trepidations she felt, I experienced and put down on paper. Who was the inspiration for your character Jarred Watson? 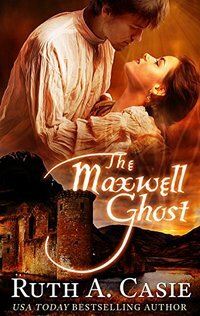 Given a choice, would you rather breathe life into Jarred or your character Jamie Maxwell Collins (The Maxwell Ghost)? A picture of Chris Pine gave me some inspiration for Jarred Watson who played the hero to Beth Holmes. Beth’s doubts about herself and her carrier determined some of Jarred’s character. He had to be steadfast and devoted. He wanted her to see him for who he was, not the competitor she blamed for her fall off the bestseller lists. He had to be compassionate, understanding and deeply in love with her. Therefore, the inspiration is driven more from the heroine. Breathe life? Like in kiss of life? Jamie! Who wouldn’t want a cheeky, brawny, highlander? And that burr. Be still my heart. He could probably read the telephone directory (I know I’m dating myself) and I would be enthralled. Jamie first appeared in The Guardian’s Witch. I intended him to be the side-kick for my hero. Some of the things that come out of his mouth really made me laugh. My editor said he needed his own story. It took me a while, but he finally got it. 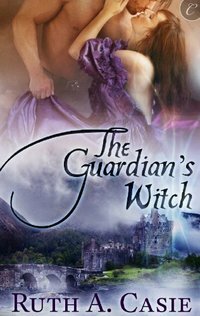 When writing a supernatural book such as The Maxwell Ghost, how do you balance between fact and fiction and make the fantastical seem believable and realistic? I rely on reading and research to tease out how to depict magic. Since the magic is an important part of the story, I planned it out before I started writing. Sometimes the best plans go awry. In The Highlander’s English Woman, the only magical scene that wasn’t planned was when Robert’s ghost must finally leave. I hadn’t planned on his part being as big as it ultimately became. For me when I created the ‘fantastical’ (I love that word) pieces I actually had to put myself into the scene to see it, taste it, smell it, and touch it. I weave pieces of reality into the magic. It allows me to describe those sections in detail and give the reader something recognizable. The scene where Robert’s ghost finds its peace and move on into the hereafter was hard to write. I found myself crying at the end and knew I did a good job of capturing the moment. Do you think it's more important to write what you want and what you like? Or to pen books based on things that your readers want? I’m a very strong believer in writing what you love and not follow trends. Each sub-genre has its own fan base that requires an author to delivery on the reader’s expectation. In general, that expectation doesn’t change. My job is to seek out like-minded readers and make them my fans. I’ve spent a lot of time building up my fan base. We both love action packed stories about strong women and the men who deserve them. What is something about the book industry that you never would've known had you not become an author yourself? 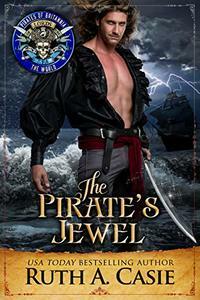 Romance writers are very warm, congenial and sharing. This genre of the writing industry is very different from the corporate world. 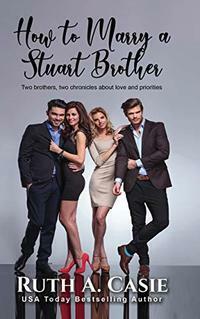 The romance community supports and celebrates each other. It was a very pleasant and welcome surprise. When you start a book, what is one surefire way for it to capture your attention? I start with a premise and write a short outline. I find my enthusiasm grows along with my outline. In the past I’ve had a hard time starting a new story after I complete a project. There’s an emptiness at saying goodbye to the characters. They’ve been a big part of me for months. I found if I have an outline waiting in the wings, teasing me, I get over the ‘loss’ faster. I throw myself into the new project. If you go camping anywhere, which place would you pick and why? I’m more of a ‘make reservations’ person, but if I were to go camping I want someplace where I can watch the sun rise over mountains and the set over the water. I prefer green fields to sandy beaches and a warm climate. I’d like to sit by a camp fire and watch the stars. 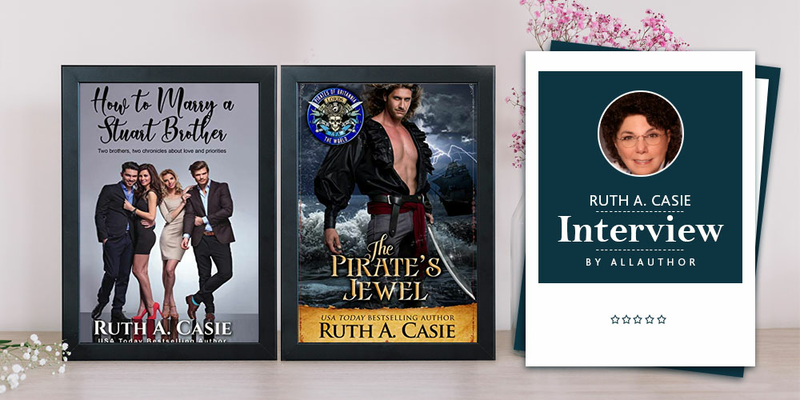 Growing up in Brooklyn, NY, to creative parents who loved oil painting, author Ruth A. Casie found her forte in reading and making up stories and acting them out with her sister. 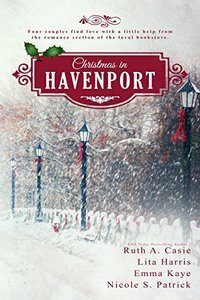 Her friend and she once started on a book idea together and while her friend has moved on to other things, Ruth has been writing ever since. 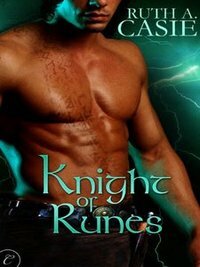 Knight of Runes was the first book she wrote, published by Carina Press. Ruth is a very strong believer in writing what you love and not follow trends. She formed a publishing company with Emma Kaye, Lita Harris, and Nicole S. Patrick in 2013 and they have since written nine books.